In the past article we have talked about the 8 series of the aluminum sheet, however there are also the specific types under these series, and today we will mainly talk about the 1×××series. The 1000 series, which is the pure aluminum series.The 1060 series need to have a purity of 61%, which can be taken as the electricity conductive material, sometimes, when there is a need for the strength, it usually uses the 6061 electricity line. The 1085, 1080, 1070, 1050, 1N30, 1080, 1070, 1050-all have the good performance in the shaping and the surface dealing, and they have the best rust proof ability. Because it is the pure aluminum, so the strength is low, the higher the purity is, the smaller the strength is, and they are widely used in the daily life products, aluminum sheet, lighting tool, reflection board, electricity conductive materials. 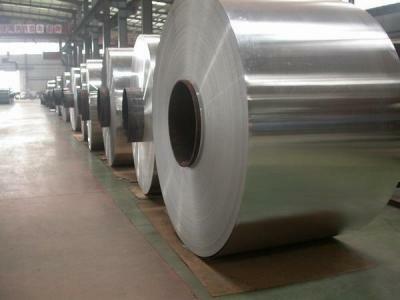 The aluminum sheet 1100, 1200, the purity of which are above 99%, and it will take on the white color after they are oxidized, it is usually used in the bottle cap, printing board, building materials etc.Haomei Industrial Co., Ltd is the professional aluminum sheet supplier in China, mainly produces series-1, series-3, series-5 and series-8 pure aluminum and aluminum alloy plate/strip/foil products. These products are generally applied to the air-conditioner, washing machine, refrigerator, cosmetic package, printing, etc. Haomei Machinery in Zhengzhou, Henan Province, China, a professional concrete plant manufacturer with more than 30 years. At present, Haomei’s products have been sold to many countries all over the world, such as Germany, USA, Ireland, Czech, Russia, Egypt, Saudi Arabic, Philippines, Indonesia, Colombia, Ecuador, Peru, Brazil, Bolivia, Brazil, and so on.If you have any needs please contact with us, and I will answer all your questions.